Hair breakage can range from Not-So-Bad to Call 9-1-1. Some factors that contribute to breakage are out of your control, but many of the reasons behind hair breakage lead right back to what we do to our tresses on a daily basis. While stopping breakage completely may take some time and serious TLC, you can often minimize it pretty quickly by stepping up your hair care game. Just say "no" to brushing your hair when it's soaking wet. Black hair is already fragile -- when wet, it's in its weakest state. It's fine to comb through your hair while wet; in fact, the ideal state to comb is when it's saturated with conditioner. But brushing wet black hair with a bristle brush stretches it sometimes to the point-of-no-return. A loud "snap" is the last thing you want to hear while styling your hair. What about women who want to straighten their hair before flat ironing? Aren't round brushes made for this? Brushes are okay once your hair is at least halfway dry, but dryer is better. Instead of a round bristle brush, use a paddle or Denman brush to smooth hair, but again, wait until your hair is at least 50% dry before tackling with a brush and blow dryer. It's important not to overdo the protein because too much can be drying. Alternate mild protein treatments with moisture-rich deep conditioners to keep your hair healthy and prevent breakage down the line. Overlapping chemicals is a huge contributor to hair breakage. It can be tempting to apply permanent color and relaxers yourself, especially if you're trying to save money. 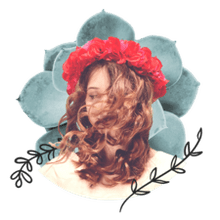 It may get pricey to have a stylist perform these services, but when it comes to chemical treatments, it's worth it to have a professional do it. Save up for relaxer touch-ups and color, but you can do most of your daily hair maintenance yourself. If you follow the recommended chemical service schedule, you should only have a touch-up a minimum of every eight weeks, so it's not like this is a weekly service. High heat = damage = breakage. Frequent heat = damage = breakage. See a pattern here? While curling irons, flat irons and blow dryers make our lives easier, allowing us to wear just about any style we can think up, these tools can also cause irrevocable damage when used too often or incorrectly. 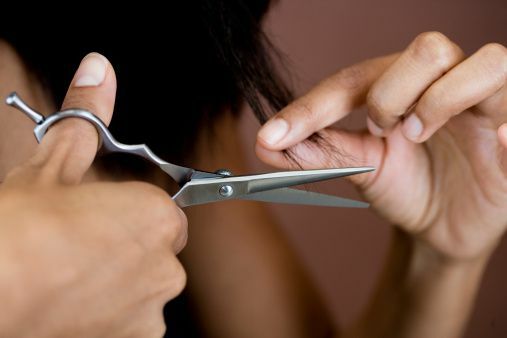 Constantly "bumping" your ends with an iron will weaken, thin and break them over time. Using heat that's way too hot even once can break your hair. Use other methods of styling, such as wet setting on magnetic rollers or Curlformers. Wet wrap the hair for a sleek look, or wet set with braids and twists for cool waves. Save the heat tools for special occasions, and definitely no more than once a week.